Dr. Amy Nett: OK, so now that everyone’s in agreement that we’re not going to treat methylation based solely on genetic predisposition, probably the more important factors affecting methylation are largely under our control, diet and lifestyle related. Of course, poor diet is something that’s going to impair methylation or tax the methylation system, and this is in part because if you’re eating a standard American diet or a diet that includes a lot of processed and refined foods, that’s going to be contributing to inflammation. 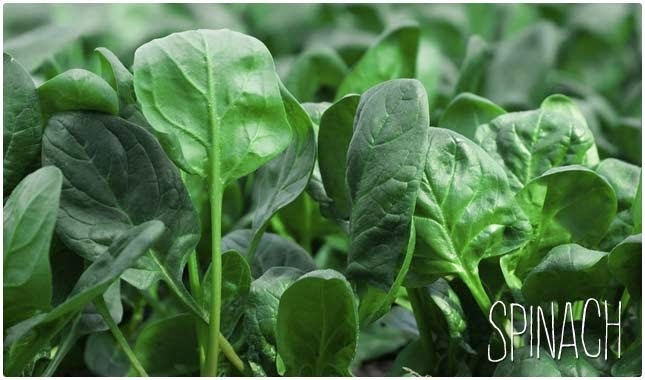 You’re probably going to have inadequate nutrients, maybe insufficient B vitamins, zinc deficiency, or even magnesium deficiency, and all of these vitamins and minerals are important cofactors in supporting the methylation cycle. Chris Kresser: Yeah, that’s crucial. And we know from studies that a shocking percentage of Americans are deficient in all kinds of different nutrients, so this is a real problem and, I think, one of the biggest. And even people who are doing really healthy diets can often be deficient, as we’ve seen, Amy, and that’s because of things like SIBO, low stomach acid, leaky gut, which impairs nutrient absorption and increases inflammation in the gut barrier, so even those of us who are following a really great diet, if we have one of these gut issues going on, we’ll see deficiencies of nutrients. And we do organic acids testing and other kinds of nutrient status testing where we do see this even with people who are following a good diet. 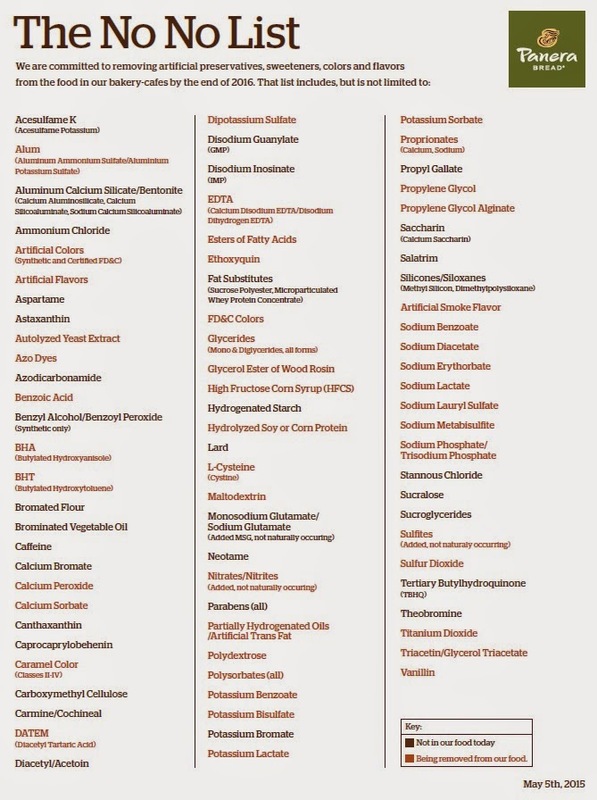 Dr. Amy Nett: Absolutely, and any sort of chronic gut issue, as you mentioned, leaky gut, chronic infection, will impair nutrient absorption and also impair methylation. Similarly, having a chronic infection is also going to contribute to an overburdened detoxification system. Having an overburdened detoxification system is something else that might impair methylation. That could be coming from environmental toxicity, heavy metals, maybe mercury toxicity, or high copper levels. Chris Kresser: Mm-hmm. Yeah, pesticides, fungicides, volatile organic compounds, phthalates — there are so many things now that we’re exposed to that we really weren’t for the vast majority of our evolutionary history. And because of that, we didn’t really evolve efficient defense mechanisms to deal with those kinds of toxins, whereas with some of the food toxins, we’ve been exposed to them forever, and so we have fairly effective ways of dealing with them, and that’s not really the case with environmental toxins. I know we’re getting a little short on time here, so there are a few other things I’m going to quickly go through. Stress and lack of sleep — big surprise! Pretty much any discussion of any health problem, we know that stress and lack of sleep are going to make those worse. We have a variety of medications, like antacids because of their effect on stomach acid and nutrient absorption. Methotrexate, metformin, contraceptives, blood pressure meds — all of these can affect levels of B vitamins, which play a crucial role in methylation. The last thing we should probably talk about — and this is a relatively new cause of methylation issues — is taking too much methylation support, too many methylation supplements. This can cause over-methylation, where you end up with feedback inhibition and reducing the body’s internal production of methylfolate. It’s kind of like if you take testosterone cream and you’re a guy and you eventually reduce your body’s own ability to produce testosterone. It’s a similar kind of mechanism. Vitamin E is an important fat-soluble antioxidant that plays a key role in protecting the body against free radical damage. 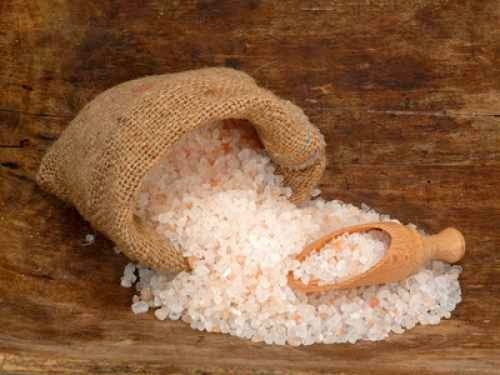 It can also prevent inflammation and reduce signs of aging. New research conducted at Oregon State University has found that vitamin E deficiency might put people at a higher risk of brain damage. The study was recently published in the Journal of Lipid Research. Some of these researchers even believe that vitamin E could be the answer to combat mental imbalances such as dementia and Alzheimer's disease. 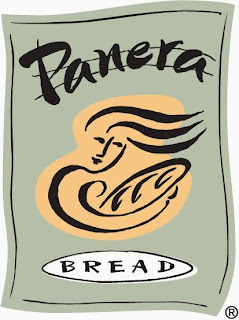 Panera Bread, the American soup and sandwich chain that helped pioneer the country's migration to fresher, healthier-seeming fast food, wants to be a little fresher. The move is part of a "clean ingredients" initiative launched last year, which has included reducing antibiotics use in its meats and improving treatment of animals. Consumer activists differ on the safety of some of the ingredients Panera chose to remove. The Center for Science in the Public Interest, for instance, said that it was happy to see Yellow 5, Yellow 6, and other additives taken off the menus, but that removing others is "more about public relations than public health." Panera says it consulted organizations such as the Environmental Working Group, Natural Resources Defense Council, Union of Concerned Scientists and Johns Hopkins Center for a Livable Future on ingredient removals. But ultimately, CEO Ron Shaich tells Quartz, the decisions about which ingredients to keep and which to kick to the kitchen's curb rested on one question: "'What do we want to serve our own kids?'" 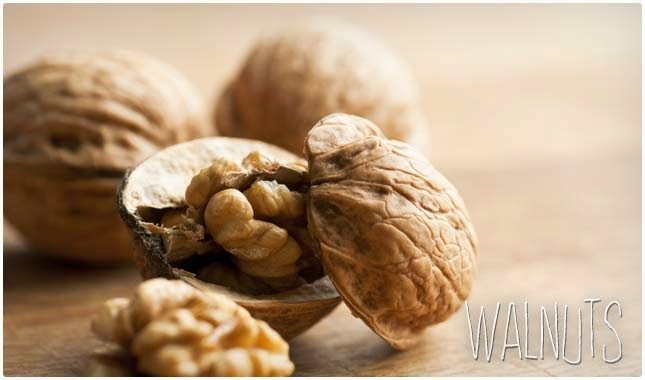 Alpha-linolenic acid is one of the primary fatty acids found in various seeds, nuts and grains. Some of the highest levels are found in chia seeds (64%), kiwi fruit seeds (62%), flax seeds (55%) and hemp seeds (20%). Other good sources include walnuts, pumpkin seeds, sesame seeds, olives, canola, kale, spirulina, spinach and others. In addition to being well utilized by the body, alpha-linolenic acid (ALA) is also converted to docosahexaenoic acid (DHA), eicosapentaenoic acid (EPA) and other important omega-3s within the body. The primary liver enzyme used in the conversion of ALA to DHA is delta-6 desaturase. DHA converts to EPA in the body as needed. A healthy person will convert ALA to DHA at a rate of from 7% to 15% according to research. For those who convert ALA to DHA at a slower rate, algal DHA provides the purest form of DHA. DHA is produced by algae and travels up the sealife food chain. Algal DHA does not contain saturated fats as many fish do. DHA-producing algae is farmed in tanks in the absence of mercury, PCBs and dioxins that have been known to bioaccumulate within fish. DHA and EPA are the central fatty acids in fish oil besides saturated fat. It also should be noted that fatty fish such as salmon also contain a considerable amount of arachidonic acid. Foods rich in arachidonic acids have been shown to increase inflammation in the body. We argue over the great nutritional deficiencies of our time. 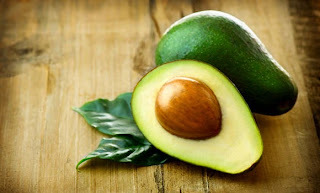 Some say omega 3's, others propose low mineral levels like magnesium, selenium, zinc, while still others cite the lack of every vitamin, fruit, vegetable, herb, spice and amino acid. Sure! They are all correct, more or less. Maybe the most overlooked deficiency is simply real soup, not the stuff in a can. The easily absorbed proteins and minerals once found in the peasant's soup pot are absent in today's popular boneless/skinless chicken breast or other foods of convenience. Any fish or animal carcass plus a mix of veggies and herbs has always been the ticket to restoring the human "carcass." Broth bars are springing up around the country in the footsteps of juice bars as healthy choices over fast foods and vending machine snackage. 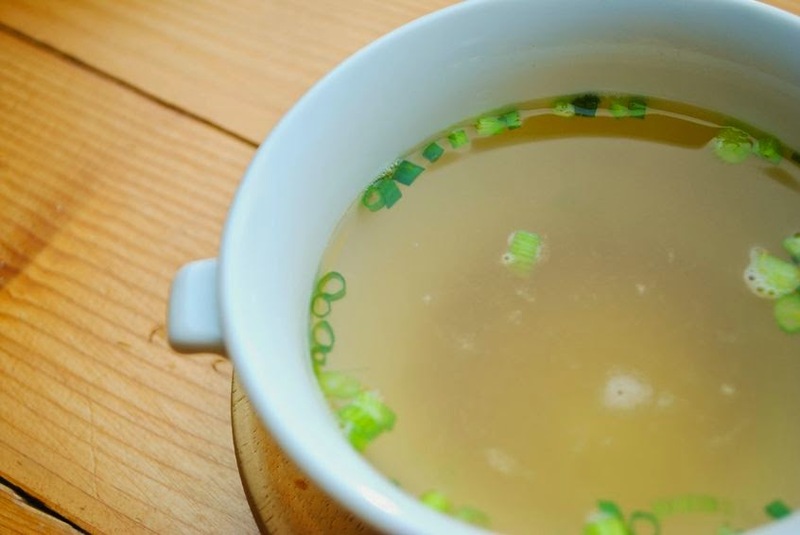 The epidemic of arthritis, heart/artery and bowel disease, rampant sports injuries, skin problems and skeletal erosion is largely due to the lack of soup and vitamin C, which is critical for collagen synthesis. Collagen is the substance that cartilage joint surfaces, spinal discs, tendons, ligaments, bones, blood vessels, lymphatics, fascia, fat cells, mucous membranes and beautiful skin are made from. These connective tissues are the mud and straw of our bodies, the glue and fiber that hold us together and even act as an internal electric grid. 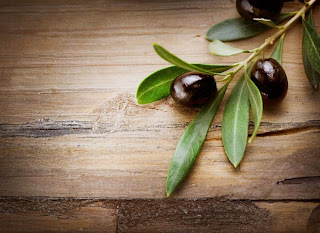 The researchers found that the olive leaf extract lowered insulin resistance by an average of 15% and increased the productivity of the pancreas' beta cells – which produce insulin - by 28%. Insulin sensitivity was measured using a glucose tolerance test, which measures glucose and insulin levels in the blood every thirty minutes. pancreatic beta cell function was measured using the Matsuda method of glucose/insulin curve measurements. "Supplementation with olive leaf polyphenols for 12 weeks significantly improved insulin sensitivity and pancreatic β-cell secretory capacity in overweight middle-aged men at risk of developing the metabolic syndrome." If you live in the U.S. and would like to test your urine, breast milk or tap water for glyphosate contamination please order and pay for the test in the form below. Why has this validated glyphosate testing been developed? Glyphosate is the most widely used herbicide in the U.S. and in the world and one of the most widely used chemicals in our environment. So Feed The World believes that validated glyphosate testing for the general public is important. There have only been a very few small-scale studies done to measure the levels of glyphosate in human fluids like breast milk and urine. The testing that has been done so far has either not been made available to the general public or has not used methods that global regulators (such as the Environmental Protection Agency – EPA) will accept. The validated glyphosate testing method developed thanks to Feed The World’s sponsorship is one of the first ever environmental chemical tests to be made available to the general public. The testing method has very low minimum detection levels, which means that the public will be given an accurate and clear idea as to the level of glyphosate found in their body fluids and in their water. What method is being used for this glyphosate testing? Glyphosate (N-(phosphomethyl)glycine ) is directly analyzed using liquid chromatography- tandem mass spectrometry (LC-MS/MS). Water and urine samples are prepared for analysis by solid phase extraction using an ion exchange column. Extracted samples are injected to the LC-MS/MS and the analyte is separated using an Obelisc N column (SIELC Technologies, Prospect Heights, IL) through isocratic elution. Ionization of glyphosate is achieved using an electrospray ionization source operated in negative polarity. The analyte is detected by multiple reaction monitoring using a 13C-labelled glyphosate as internal standard. Quantification of the analyte is done by isotope dilution method using an eight-point calibration curve. The assay has a limit of quantification of 0.1 ng/mL. The intra- and inter-day precision observed are 6-15% in concentrations that range 0.1-80 ng/mL. Recoveries for glyphosate range 70-80% at concentrations within the assay’s linear dynamic range. How does this validated glyphosate testing improve on other publicly available glyphosate testing? Currently available glyphosate testing for the general public is based on the ELISA method. This method is not accepted by government regulators and therefore does not help to give the general public a role in changing the regulatory attitude to glyphosate. Feed The World has sponsored the development of a new and unique LC/MS/MS method, which has a much lower minimum detection level than the ELISA method. The LC/MS/MS method is the only validated testing method for breast milk. The LC/MS/MS method can be used to check results from the ELISA method. This will enable Feed The World to use the quicker and simpler ELISA method when required – and still give accurate results to the public. Are there ‘safe’ levels of glyphosate? How am I helping future generations by taking this test? Your reaction to the testing results could force political change on the issues surrounding glyphosate and environmental chemicals, thus helping to protect public health now and in the future. Glyphosate has also been linked to many different diseases in correlation and lab studies. To enable independent scientists to design lab-based experiments that give a clear indication of what real-life health effects glyphosate is having on the human population, including on the health of future generations, they need scientifically valid and statistically significant data on what levels of glyphosate are found in the human population. By taking this test you will help the independent scientific community to bring clarity to the real damage being done by glyphosate. How can I detox from glyphosate? University research has demonstrated that certified organic diets significantly lower children’s dietary exposure to organophosphorus pesticides. Download the research here. If your first glyphosate test results show significant glyphosate levels in your body, then, based on the above study, eating a certified organic diet (with only filtered water) for 6 weeks could potentially detox the glyphosate from your body. In other words, your second glyphosate test taken after your organic diet will show either a detox of none, some, or all of the glyphosate in your body. What can I do to help ban glyphosate? If the results of your “before and after organic” test indicate significant glyphosate levels before and significantly reduced levels after an organic diet, you can exercise your consumer rights in two steps – Click here to find out more. Bill of Rights: We believe there should be NO MAN-MADE TOXIC CHEMICALS in the bodies of women and children across America. The Bill of Rights’ call to ban glyphosate (the most used herbicide in America) is the first step towards achieving this aim. The Women and Children’s Glyphosate Bill of Rights will be presented to the U.S. Senate in October 2015 by representatives of the organizations who sign on to the Bill. How can glyphosate be phased out of our food and environment? For full information on Feed The World Solutions to phase out glyphosate and to support sustainable agriculture click here. 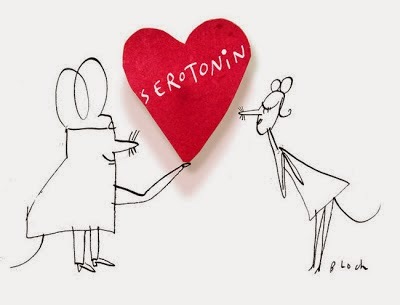 Low Serotonin, Depression Link a Myth? The concept that depression is a result of low brain serotonin levels and, therefore, that selective serotonin reuptake inhibitors (SSRIs) are an effective treatment for the disorder is a myth, says a UK psychiatrist. Moreover, David Healy, MD, professor of psychiatry, Hergest Unit, Bangor, Wales, United Kingdom, believes that SSRIs were a treatment looking for a condition and that doctors and patients were co-opted into the myth by clever marketing, resulting in better treatments being sidelined. "This history raises a question about the weight doctors and others put on biological and epidemiological plausibility. Does a plausible (but mythical) account of biology and treatment let everyone put aside clinical trial data that show no evidence of lives saved or restored function?," Dr Healy asks. "In other areas of life the products we use, from computers to microwaves, improve year on year, but this is not the case for medicines, where this year's treatments may achieve blockbuster sales despite being less effective and less safe than yesterday's models," he adds. The editorial was published online April 21 in the BMJ. Outlining the history of SSRIs, Dr Healy says that in the 1960s, the notion that serotonin levels are lower in persons with depression was rejected, and SSRIs were shown to be less effective than tricyclic antidepressants. The SSRIs were then marketed as tranquilizers, for which they were equally unsuccessful. They only found a place in the market when it was suggested that depression is the "deeper illness" behind anxiety. This notion was predicated on the idea that a there is "chemical imbalance" of serotonin levels in the brain that needs to be normalized. Dr Healy suggests that this concept initially took root in the lay public and became co-opted first by the complementary health markets and then by psychologists, among others. In his editorial, he says: "Above all, the myth co-opted doctors and patients." "For doctors, it provided an easy short hand for communication with patients. For patients, the idea of correcting an abnormality has a moral force that can be expected to overcome the scruples some might have had about taking a tranquilliser, especially when packaged in the appealing form that distress is not a weakness." The result is that there are now more prescriptions for antidepressants than there are people in the Western world, Dr Healy writes. One of the main issues with the rise of SSRIs, he says, is that "more effective and less costly" treatments have been marginalized. Furthermore, research into other, more plausible explanations for depression ― as illustrated, for example, by the antidepressant potential of ketamine ― has been stifled. Millions of people suffer from constipation — sometimes so bad it can go on for months or years. Medications are effective, but as many as half of all those with chronic constipation get little relief or suffer significant side effects, studies show. 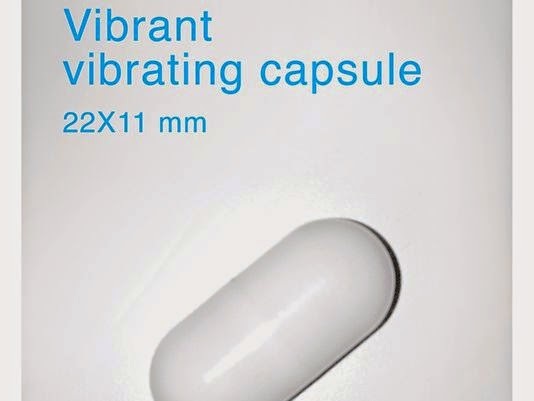 Now an Israeli company, Vibrant, is testing a capsule that would vibrate in the colon, rather than deliver medications. Adding movements inside the lower intestine mimics peristalsis, the biological process that pushes waves of waste through the bowel. The researchers hope it will break up clumps of waste and encourage the system to work more normally. They have only just begun to test the multivitamin-sized pill, releasing results Saturday showing it was safely tested in 26 patients who have bowel movements just twice a week on average. Much bigger, longer trials are needed to show whether the pill will be effective, said Yishai Ron, the research leader and a gastroenterologist at the Tel-Aviv Sourasky Medical Center. But early tests showed promising results, said Ron, who treats a handful of the patients and presented his results Saturday at Digestive Disease Week, an international gathering of experts, being held in Chicago. "Some of them did stop medication. Some of them really resolved constipation," he said. "In some of them the constipation returned, but they were able to not use those medications anymore." Eamonn Quigley, chief of gastroenterology at Houston Methodist Hospital in Texas, said he's never heard of any other device-based approach to treating constipation. "It's completely novel," said Quigley, who's been hired by Vibrant to design its next research trial, comparing the effectiveness of the vibrating pill against a placebo that does nothing. "I think it's an intriguing technology, which deserves some further study," he said. The idea of using a pill to mimic the normal movements of the bowel makes biological sense, said Douglas Drossman, founder of the Center for Functional GI and Motility Disorders at the University of North Carolina and a gastroenterologist in private practice in Chapel Hill. Drossman, who is not involved in the work, said he was impressed with their early results. The reproductive damage caused by exposure to endocrine-disrupting chemicals (EDCs) like bisphenol-A (BPA) may take several generations after initial exposure to become evident, according to new research out of Missouri. A team of biological scientists and toxicologists determined that, even when exposure to BPA doesn't show immediate health consequences, the second, third, and even fourth generations afterwards can experience reduced fertilization and increased embryo mortality. Using medaka, or Japanese rice fish, as test subjects, scientists evaluated the effects of BPA and several other EDCs during one week of embryonic development. They then looked at the offspring of these exposed fish throughout the course of four subsequent generations, as Japanese rice fish have shorter generations that are ideal for this type of research. Interestingly, the first two generations of fish showed no evidence signs of reproductive abnormalities. But the third and fourth generations did, with the third generation showing a 30 percent decrease in fertilization, and the fourth generation showing a 20 percent decrease in fertilization. None of the subsequent generations of medaka were directly exposed to BPA or the other EDCs, either. They were all indirectly exposed via their ancestors, which somehow passed down the reproductive damage caused by BPA and other EDCs to their offspring. "BPA has been proven to mimic the function of natural hormones in animals and humans," stated Ramji Bhandari, an assistant research professor of biological sciences at the University of Missouri and a visiting scientist with the USGS, and one of the study's authors, about the findings. "Fish and aquatic organisms often have the greatest exposure to such chemicals during critical periods in their development or even throughout entire life cycles. This study shows that even though endocrine disruptors may not affect the life of the exposed fish, it may negatively affect future generations." Steak Tips Susanne, the $21 entree at the Hilton Garden Inn in Manchester, N.H., arrived as a carefully composed plate: strips of sirloin, sautéed peppers and caramelized onions atop a bed of linguine with a side of garlic bread. 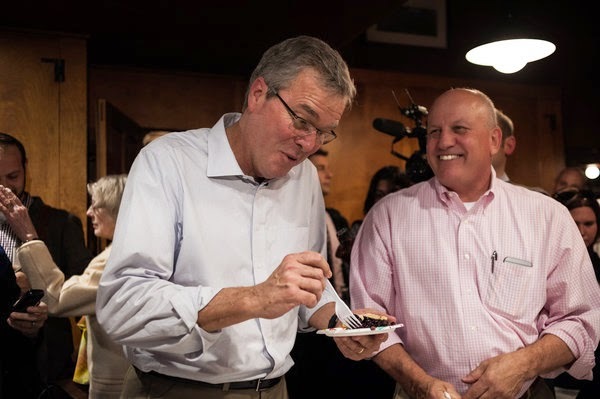 Then the dish underwent the Jeb Bush treatment. The garlic bread was instantly banished to the plate of a nearby aide. The pasta was conspicuously pushed aside. A sympathetic guest at the table, convinced that Mr. Bush, 62, could not possibly be sated, offered him a piece of her salmon. Was it true, the guest asked him, that a stomach shrinks during a diet, easing the pangs of hunger? Not at all, Mr. Bush replied. “I am always hungry,” he said. Jeb Bush is thinking of running for president. And he is starving. As he prepares to challenge an almost universally younger and svelter field of Republican rivals, Mr. Bush has adopted a weight-loss program that is melting away pounds at a staggering rate even as it inflicts an unhappy toll: regular bouts of dietary crankiness. The monthslong experiment in deprivation — little to no starch, dairy or refined sugar, in adherence to the in-vogue Paleo diet — may seem extreme. But unlike a mountain-biking brother, and his still-trim nonagenarian father, Mr. Bush has long struggled to keep the pounds away, trying everything from climbing 22 flights of stairs a day to joining the low-carb Atkins craze of the early 2000s. The rigid abstemiousness runs the risk of putting him at a dietary distance from an American electorate that still binges on carbohydrates and, after eight years of a tea-sipping president, craves a relatable eater in chief. Breaking bread with Iowans? Try almonds, Mr. Bush’s preferred high-protein snack food. Bonding over hamburgers in New Hampshire? How about salad with grilled chicken, his monotonous go-to lunch. During a meeting with veterans in Colorado Springs a few days ago, a thick stack of pancakes was placed in front of Mr. Bush at an IHOP, along with a second platter of eggs, bacon and hash browns. The veterans dug in. Mr. Bush left his breakfast untouched, to the disappointment of the restaurant’s staff. Purpose of review: This review summarizes adverse effects of potential proton pump inhibitors (PPIs), including nutritional deficiencies (B12 and magnesium), rebound acid hypersecretion, acute interstitial nephritis, gastric carcinoid tumor, cardiovascular risk with clopidogrel and PPI coprescription, bone fractures, enteric infections and pneumonia. An epidemiologic framework is applied to assess clinical relevance and reinforce best practice recommendations. Recent findings: The evidence for PPI adverse events is limited by the absence of Level 1 (randomized controlled trial) studies. The best evidence supports Clostridium difficile and bone fractures in susceptible populations. A substantial reduction in gastrointestinal bleeding risk without increase in cardiovascular events was observed in the COGENT trial when clopidogrel was coprescribed with omeprazole. The risk of pneumonia is inconsistent, and although acute interstitial nephritis, nutritional deficiencies (including B12 and hypomagnesemia), gastric carcinoid and rebound hyperacidity are biologically plausible, studies have failed to demonstrate supportive clinical relevance. Summary: Prescribe PPI for robust indications only. Strong data supporting risk of adverse events are lacking; however, exercise caution in the elderly and in patients with other risk factors for bone fractures or C. difficile infection. 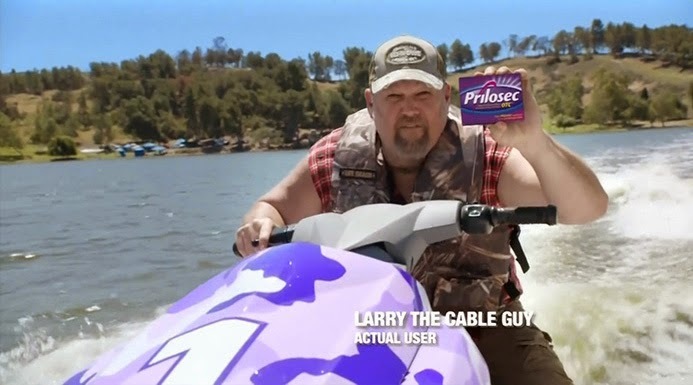 Proton pump inhibitors (PPIs) are the third highest-selling drug in the United States, generating $13.9 billion annually. Robust clinical indications for a PPI include gastroesophageal reflux disease (GERD), esophagitis, acid hypersecretory states, peptic ulcers and eradication of Helicobacter pylori. PPIs are also used for treating dyspepsia and prophylaxis of peptic ulcers in the intensive care setting, and among high-risk patients prescribed aspirin, NSAIDs, antiplatelets and anticoagulants. This review critically evaluates evidence regarding potential PPI-related adverse effects. PPIs may contribute to deficiencies of B12, iron and magnesium. Acid suppression interferes with the acid-activated proteolytic digestion of dietary protein-bound vitamin B12 in the stomach[4,5] and promotes bacterial overgrowth in the duodenum. Studies of PPI use and vitamin B12 deficiency have yielded mixed results. Absorption decreased from 3.2 to 0.9% (P = 0.031) in patients on omeprazole 20 mg daily, and from 3.4 to 0.4% in patients on higher doses. Chronic PPI therapy was associated with a 46% decline in median serum B12 levels and subnormal levels in 10% of patients. Others have reported no decreased absorption of vitamin B12. [4,9] Older patients are at greatest risk and more likely to have borderline baseline levels. Data supporting an association are from small, nonrandomized retrospective studies or sporadic case reports with varying methods for measuring B12 levels. [3,9] Prospective studies[11,12] demonstrate reduced B12 levels that are within the normal range, suggesting that the risk of deficiency may be clinically insignificant. Consumption of a normal diet will safeguard against clinically significant B12 deficiency when taking a PPI. The elderly and malnourished patient may be at a higher risk. Severe hypomagnesemia, refractory to supplementation, has been reported with long-term PPI use. No case was associated with renal disease or malabsorptive disorders, and symptoms resolved within 2 weeks of PPI discontinuation. Hypomagnesemia is rare but appears to be a class effect, persisting after substitution of PPI. Normally, low-serum magnesium results from impaired absorption or intake, excessive losses (urinary or gastrointestinal), redistribution from extracellular to intracellular sites or acquired deficiencies in transient receptor potential cation channels, subfamily M, member 6 (TRPM6) and member 7 (TRPM7). The biological mechanism of deficiency in PPI users is poorly understood; however, consider discontinuation of PPI or switching to an H2RA if patients present with unexplained hypomagnesemia. Rebound acid hypersecretion (RAH) results in gastric acid secretion above pretreatment levels after acid suppression. [15,16] PPI therapy leads to diminished acid secretion and antral D-cell release of somatostatin, while increasing G-cell release of circulating gastrin. The increased gastrin concentration exerts a trophic effect on oxyntic mucosa, causing hyperplasia and increased functional capacity of the enterochromaffin-like (ECL) cell and parietal cell. Increased acid secretion due to sustained hypergastrinemia is not apparent during PPI therapy but appears with drug cessation theoretically, leading to acid-related heartburn, acid regurgitation or dyspepsia. Four studies present conflicting data due to differences in RAH definition and heterogeneity in populations. It remains unclear whether conclusions from normal volunteer trials[15,19] are clinically relevant. The fact that healthy volunteers receiving placebo reported symptoms in both trials may indicate that the volunteers were sensitized to report symptoms. It is also possible that PPI-treated volunteers were reporting side effects of therapy rather than symptoms of GERD. Finally, measurement of acid secretion differed between the studies, complicating interpretation of the data. Until consistent and compelling data that PPI withdrawal produces symptomatic rebound, continue to follow the evidence-based guidelines recommending empiric PPI therapy in patients with uncomplicated heartburn and maintenance PPI therapy in patients with erosive esophagitis. Most patients with GERD symptoms severe enough to warrant PPI therapy require long-term PPI for adequate symptom control. Use the lowest effective dose for symptom control. 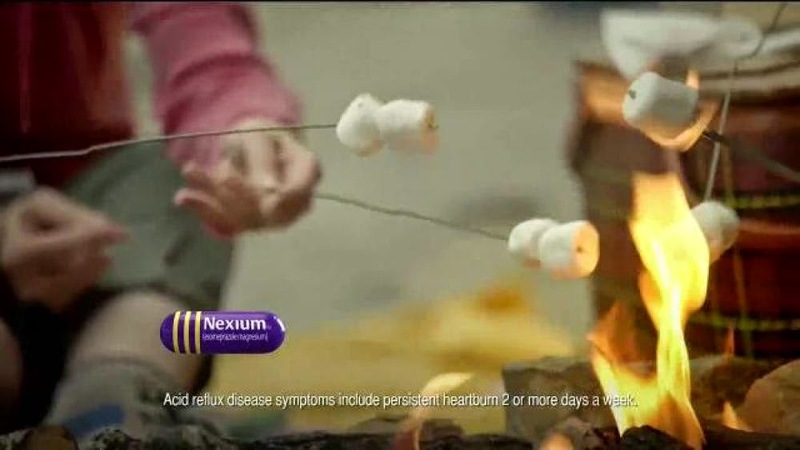 [20,21] Patients with dyspepsia or mild, uncomplicated heartburn can be managed with antacids or H2RA drugs, which cause negligible RAH and can be discontinued later with little difficulty. Acute interstitial nephritis (AIN) is a humoral and cell-mediated hypersensitivity reaction that causes inflammation of the renal interstitium and tubules, causing acute renal failure. Medications account for 60% of cases,[22,23] including antibiotics, NSAIDs, diuretics and PPIs. All PPIs have been associated with AIN. The most commonly implicated is omeprazole, and the least is rabeprazole. PPI-related AIN is rare, idiosyncratic and, therefore, difficult to predict. A major limitation of the literature is the source of data, limited to observational case reports and case series that do not adequately control for confounding factors. The mainstay of therapy for drug-induced AIN is early diagnosis, identification and discontinuation of the causative agent. Carcinoid tumors are rare (1–2 per 1000 individuals), but their incidence has increased,[3,24] prompting concerns that PPI use may increase the risk. Marked trophic effects of PPI-induced hypergastrinemia caused major concerns during early animal safety tests when rats on long-term omeprazole developed carcinoid tumors. Long-standing hypergastrinemia coupled with other factors, such as genetic abnormality of multiple endocrine neoplasia type 1 (MEN-1), can produce gastric ECL carcinoids in humans. Hypergastrinemia alone, however, has not been documented to induce carcinoid formation in humans. It may be associated with gastric ECL hyperplasia or redistribution but has not been associated with neoplastic changes. Given the low incidence of gastric carcinoid tumors, prospective studies would not be feasible; thus, it is unlikely that the rat hypotheses will ever be proved in humans. Concern regarding increased myocardial infarction, stroke and cardiovascular death associated with PPI and clopidogrel coprescription has been discussed in depth previously. Although initially thought due to competitive inhibition of clopidogrel metabolism by PPI at the shared CYP 450 pathway, subsequent data have refuted this hypothesis. [28,29] Pharmocokinetic and pharmacodynamic studies did suggest a differential response between various PPIs, with omeprazole showing the greatest effect on clopidogrel activity. [26,28,30] However, no increase in cardiovascular events was observed in major trials or well adjusted observational studies, even when omeprazole was used, undermining the clinical relevance of avoiding clopidogrel and omeprazole coprescription. Current evidence points to individual genetic polymorphism as causative for impaired clopidogrel activity. Data support the presence of a reduced-function CYP2C19*2 allele, common in Asian Americans (51%) and African Americans (33%), and a four-fold increased risk of poor cardiac outcomes. [31–34] One copy is associated with a 47% reduction in clopidogrel activity and two copies with a 65% reduction in clopidogrel activity. The potential role of the ABCB1 3435 TT genotype, CYP2C19 metabolic status and ITGB3 PLA2 carriage as independent risk factors for early stent thrombosis has also been published, supporting genetic polymorphism as the primary cause of impaired clopidogrel activity when compared with the risk associated with PPI coprescription. The third-generation thienopyridines (i.e. prasugrel and ticagrelor) activity is unaffected by variants in the CYP2C19 genotype. 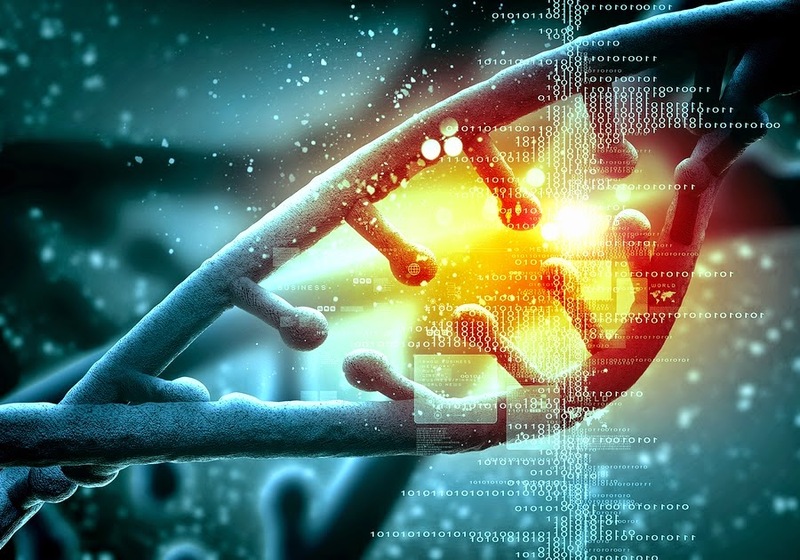 [36,37] Emerging data will reveal whether these drugs are affected by other key genetic polymorphisms. The mechanism behind impaired bone strength among PPI users hinges on profound acid suppression and its triple effect of impairing vitamin B12 and calcium absorption, and resulting in hypergastrinemia. Impaired B12 absorption decreases osteoblastic activity, decreasing bone formation while increasing homocysteine levels, which negatively affects collagen cross-linking, resulting in reduced metabolic bone density and bone strength. Hypergastrinemia causes parathyroid hormone release from hyperplastic parathyroid glands, contributing to increased bone absorption and decreased metabolic bone density and bone strength. Diminished calcium absorption negatively influences calcium homeostasis and reduces plasma calcium levels, turning on parathyroid hormone release with subsequent increase in circulating parathyroid hormone, furthering the decline in metabolic bone density and bone strength. Case–control studies support a weak association between prolonged PPI use and increased bone fracture risk,[38,39–41] ranging from 20% [odds ratio (OR) 1.2; 95% confidence interval (CI), 1.1–1.3] to 60% (OR 1.6; 95% CI, 1.4–1.8), respectively. [39,41] The magnitude of ORs is low (<2), and no experimental evidence supports a mechanism of action. These studies are subject to confounding variables that may bias results. PPI use for up to 5 years has not been associated with osteoporosis, even at a high dose, and marginally affects 3-year bone mineral density of the hip in postmenopausal women. Kaye and Jick and Corley et al. examined PPI and bone fractures, adjusting for other key independent risk factors (i.e. alcohol abuse, arthritis, diabetes, kidney disease, glucocorticoids, cerebrovascular disease, dementia, epilepsy, visual impairment, anxiolytics and preexisting osteoporosis), showing no increase in fracture. 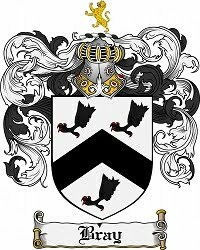 Corley et al. did demonstrate a 20% increase (OR 1.2; 95% CI, 1.2–1.3) in fracture risk among PPI users when one or more other independent risk factors for bone fractures were present. A meta-analysis revealed an OR of 1.3 (95% CI, 1.1–1.4) for fracture risk. However, the pooled studies demonstrated significant heterogeneity and were of very low quality (i.e. great uncertainty about the estimate). In summary, chronic PPI use is not associated with increased osteoporosis risk or accelerated bone mineral density loss, and any association between PPI use and hip fractures is likely related to other independent risk factors for osteoporosis. Gastric acidity is a major defense mechanism of the body – it sterilizes contents entering the digestive tract, prevents bacterial colonization of the upper gastrointestinal tract and influences the composition of normal intestinal flora. PPIs increase gastric pH, resulting in more bacterial colonization of the stomach. Chronic PPI use may also impair leukocyte function by increasing basal cytosolic calcium concentrations in neutrophils and decreasing intracellular and extracellular reactive oxygen species impairing bactericidal activity. A 2007 meta-analysis was first to suggest a potential three-fold increased risk in enteric infections, including salmonella, campylobacter and shigella, among PPI users. However, significant heterogeneity in the five pooled studies could not be explained by subgroup analyses. In 2012, physicians were alerted to a two- to three-fold increased risk of C. difficile-associated diarrhea among elderly patients with chronic comorbidity and on broad-spectrum antibiotics. [51,52] In both meta-analyses, significant heterogeneity requires interpretation of data with caution. [50,51] Until trial data are available, clinicians should consider the risks and benefits of continuing chronic PPI therapy in hospitalized patients on broad-spectrum antibiotics; the elderly; and, possibly, those travelling to endemic areas. C. difficile-associated diarrhea should be considered in hospitalized patients taking PPIs who develop refractory diarrhea. Too little data are available to assess risk and PPI dose or duration of over-the-counter PPI use. Data supporting an association between chronic PPI and increased respiratory infections are weak. Native gastric pH is 1–2, an environment inhospitable to community-acquired lung pathogens. Chronic acid suppression may permit intermittent bacterial survival and possible colonization of the upper gastrointestinal tract, facilitating microaspiration or translocation into the lungs. Laheij et al., using a nested case–control analysis of the general practice database in the Netherlands, suggested a 73% increased risk of pneumonia (OR 1.73; 95% CI, 1.33–2.25). A Danish cohort suggested a 50% increase in risk among PPI users (OR 1.5; 95% CI, 1.30–1.70). Both studies demonstrated an inverse relationship between magnitude of association and chronicity of PPI use, with the weakest association among patients who were prescribed a PPI for the longest duration of time, highlighting likely residual confounding caused by a higher comorbidity in pneumonia cases on PPI. When data were adjusted for confounding variables, no significant increase in pneumonia risk was demonstrated. A meta-analysis of seven randomized controlled trials (RCTs) evaluating efficacy of PPIs that recorded respiratory adverse events failed to show a significant association between PPIs and respiratory infections (OR 1.4; 95% CI, 0.9–2.3), even among ventilator-assisted patients on chronic PPI, in whom abnormal gastric colonization exists and the theoretical risk of increased microaspiration or translocation would be greatest. With an epidemiologic framework and pragmatic scrutiny of clinical relevance, few adverse event concerns appear pertinent in clinical practice ( Table 1 ). Evidence for long-term complications is weak at best, limited by the absence of Level 1 (RCT) data. The best evidence supports a relevant risk of increased C. difficile-associated diarrhea among hospitalized patients, the elderly and those prescribed broad-spectrum antibiotics on chronic PPI therapy. High-dose, chronic PPI use is prevalent, despite a high degree of comorbidity in the target population and significant treatment failures. Clinicians must remain cognizant of potential threats and ensure vigilance in their prescribing habits. PPI prescription must be tailored, using an individualized approach that limits use to robust indications and actively responds to opportunities to decrease inappropriate use, especially among the elderly, highly comorbid individuals with independent risk factors for metabolic bone disease and hospitalized patients receiving broad-spectrum antibiotics. Purpose of review: The intestine – home to a vast microbiome – balances its immune reactivity on a knife's edge. This review will summarize recent studies examining innate immune signals that shape the microbiota, and how pathogens can usurp protective responses to their advantage. Recent findings: Innate signaling uses several pathways to maintain epithelial defense. Toll-like receptor signaling through myeloid differentiation factor 88 maintains segregation between bacteria and the epithelium through production of antimicrobial proteins, and inflammasome signaling mediates efficient goblet cell release of mucus containing granules. Conversely, negative regulators of Toll-like receptor signaling help maintain a healthy microbiota resistant to pathogen infection. Methods to evade immune elimination by pathogens associated with human infections and inflammatory bowel disease are described. Emerging evidence that pattern recognition receptors can differentiate between commensals and pathogens will be examined. Summary: The balance of innate signaling in the intestine is crucial to homeostasis: too little and bacteria can directly contact the epithelium, too much depletes the protective microbiota, creating a niche for pathogens. Understanding the dynamic interaction between the immune system and the microbiota in a variety of infection and inflammation models will hopefully translate to new therapies. "Are you finding it hard to sleep easily? Then download the Sleep Deeply App - one of the most effective ways to relax quickly and promote sleep! This app will help prevent anxiety, relax your mind and help you achieve a good night's sleep! This app has been created by an award-winning UK hypnotherapist Darren Marks and has helped tens of thousands of people worldwide - using the latest techniques in hypnotherapy - to beat insomnia and achieve a deep restful sleep! If you would either like to experience a deeper sleep, relieve stress, relax and meditate quickly and effectively, aid your sleep cycle and enjoy the relaxing sounds of nature as background music, then this is the best hypnosis app to help you achieve the ultimate peace of mind! Don't worry if you are new to hypnotherapy, with this app you'll get lots of great tips that effortlessly guide you towards a state of relaxation and easy sleep routine." Purpose: of review Those who suffer from irritable bowel syndrome (IBS) have long reported the frequent precipitation of their symptoms in relation to food ingestion and have often been convinced that certain foods were especially problematic. However, until very recently, research on the responses to food or individual dietary constituents, in IBS, has been scarce. This review addresses recent literature on diet and IBS. Recent findings: The complexity of food–symptom interactions in IBS is being revealed in recent and ongoing research. Such studies have revealed the variable effects of fibre in IBS and the susceptibility of IBS individuals to the ingestion of poorly digested and absorbed carbohydrates. The latter has led to the widespread adoption of the low-fermentable oligosaccharides, disaccharides, monosaccharides and polyols (FODMAPs) diet. Less certain is the role of another widely adopted dietary strategy, gluten restriction. 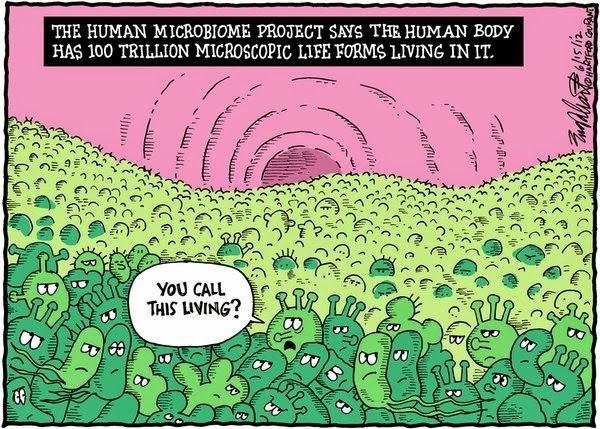 Diet–microbe interactions are critical to the homeostasis of the gut microbiome in health and may well be disturbed in disease; enthusiasm continues, therefore, for the use of probiotics in IBS. Summary: Food is a common precipitant of symptoms in IBS and recent research has focused on the role(s) of individual dietary constituents in IBS and on fibre, FODMAPs, gluten and probiotics, in particular. 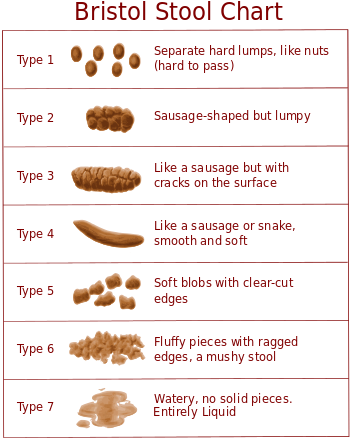 Each may have a role in certain IBS sufferers. The food allergy testing offered by our centers is a completely novel way of identifying foods that may cause IBS, as shown in our recent pivotal study, Food Patch Testing for Irritable Bowel Syndrome , published in the Journal of the American Academy of Dermatology (Stierstorfer MB, Sha CT, Sasson M. Food Patch Testing for Irritable Bowel Syndrome. J Am Acad Dermatol 2013;68:377-84). Our IBS testing identifies food allergies by looking for small allergic reactions that may occur on your skin after food test materials are placed in contact with your skin for 48 hours. The testing also is useful for individuals suffering from another gastrointestinal condition, eosinophilic esophagitis. The evolution of Gaynor Wellness began about 30 years ago during Dr. Gaynor’s research fellowship in hematology-oncology at Cornell Medical Center, Rockefeller University, and later as medical director of the Strang Cancer Prevention Center. In particular, the nutrient-gene research he worked on was illuminating: studying how nutrients can influence genes to stave off or promote disease, based on our diet. 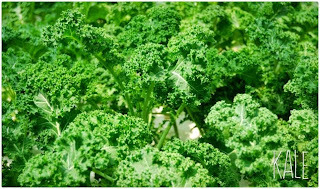 The notion that nutrients could affect our health at the genetic level was not even on the scientific radar; in fact, nutrition was not emphasized in medical school or residency to the degree that pathology and pharmacology were. Sadly, this is still the case. 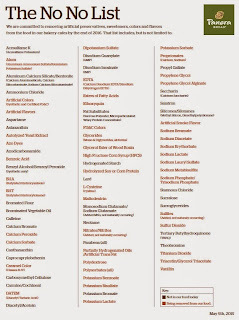 Using food, or rather the nutrients they contain, to prevent or treat disease is not emphasized in medical school; what is taught is rudimentary and covers basic nutritional deficiencies and the diseases they are associated with. During his research, Dr. Gaynor was astonished that the science of how nutrients affected gene expression was far ahead of what was currently being taught in medical schools and hospitals to physicians in training. 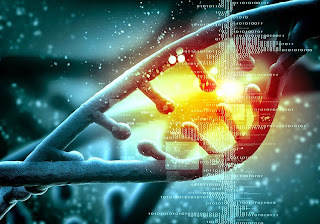 At the Strang Cancer Prevention Center and Rockefeller University, Dr. Gaynor worked with some of the best physicians and scientists in the world in the fields of nutritional genomics (how nutrients affect gene expression), and toxicogenomics (how environmental toxins adversely affect gene expression). As Director of Medical Oncology and Associate Medical Director at the Strang Cancer Prevention Center, Dr. Gaynor developed a comprehensive integrative approach to cancer prevention as well as other chronic conditions, such as obesity, degenerative conditions associated with aging, and environmental toxicity, which has been linked to symptoms such as chronic fatigue. Dr. Gaynor’s integrative approach to cancer prevention and treatment, which started using his hematology-oncology training and nutritional research combines academically based medical evaluation and treatment with targeted nutritional medicine. Many of the same risk factors for cancer such as environmental toxicity, chronic inflammation, chronic infections, nutritional deficiencies, and metabolic dysfunction also contribute to aging, fatigue, insomnia, obesity, heart disease, diabetes, as well as neurologic and digestive disorders. Dr. Gaynor provides the same rigorous evaluation and treatment protocols that he has pioneered for the prevention and treatment of cancer to these conditions at Gaynor Wellness. Upon completing his fellowship, it was natural that he went on to work at the Strang Cancer Prevention Center. Armed with extensive experience in oncology and knowledge of nutrient-gene interactions, Dr. Gaynor made the decision to dedicate his career toward bridging the gap between traditional medicine and advanced science. And working at the Strang Center made perfect sense because it applied conventional treatments (e.g. surgery and chemotherapy) and nutrition-based science to promote health and healing in cancer patients. As Director of Medical Oncology at the Strang Center, Dr. Gaynor was committed to reducing the number of lives lost to cancer and to improving the quality of health among all Americans living with chronic conditions such as obesity, diabetes, and heart disease. Dr. Gaynor has treated many patients using a comprehensive, tailored approach to medicine, which combines conventional treatments as well as targeted nutritional medicine. To help improve the health and lives of his patients, Dr. Gaynor has taken the best medical practices and developed Gaynor Wellness.